Cover Reads: I'm Way Behind Schedule. There Are Boxes To Sit In, Wrapping Paper To Lie On ... I Haven't Even Knocked Down The Tree Yet! The Holidays Are So Stressful. The holiday season can be stressful. Not just for humans, but for cats, too. Anyone feline stressed during Yuletide can commiserate with the cute gray and brown kitties in the cafe cartoon-pictured on this colorful, funny, fur-bearing card. Cat lovers know exactly how crazy Christmas can be, thanks to their favorite furry friends. 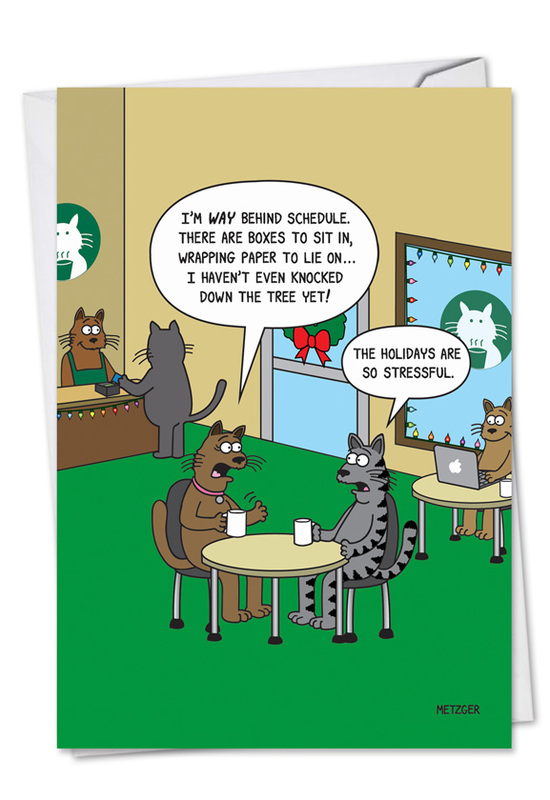 Help them laugh away the stress with this hilarious cat Christmas card drawn by Scott Metzger. 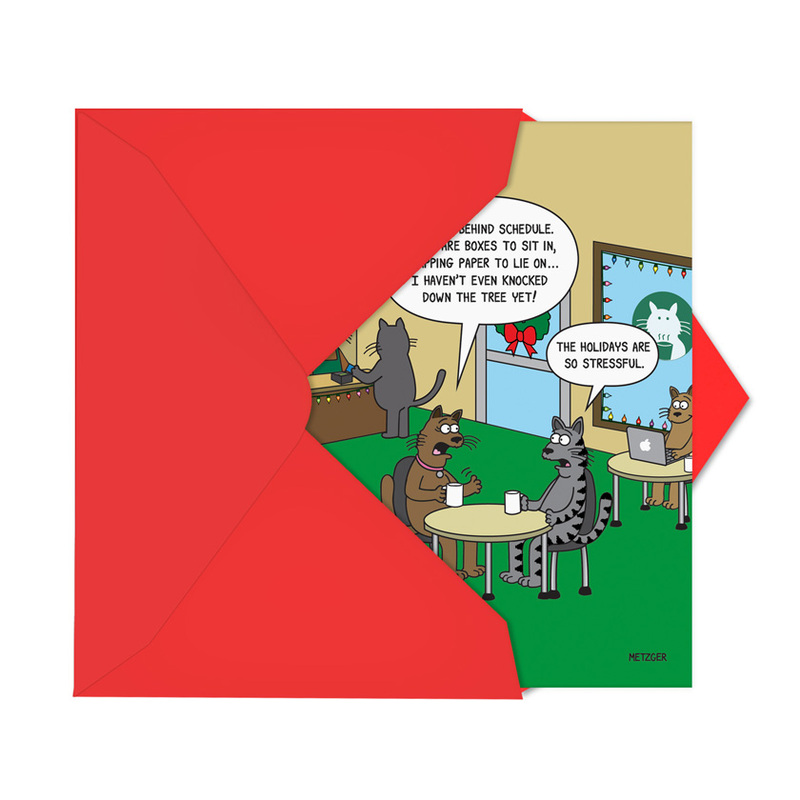 Because cats are all the rage on the internet, this card will get laughs from a wide variety of folks, even dog people. 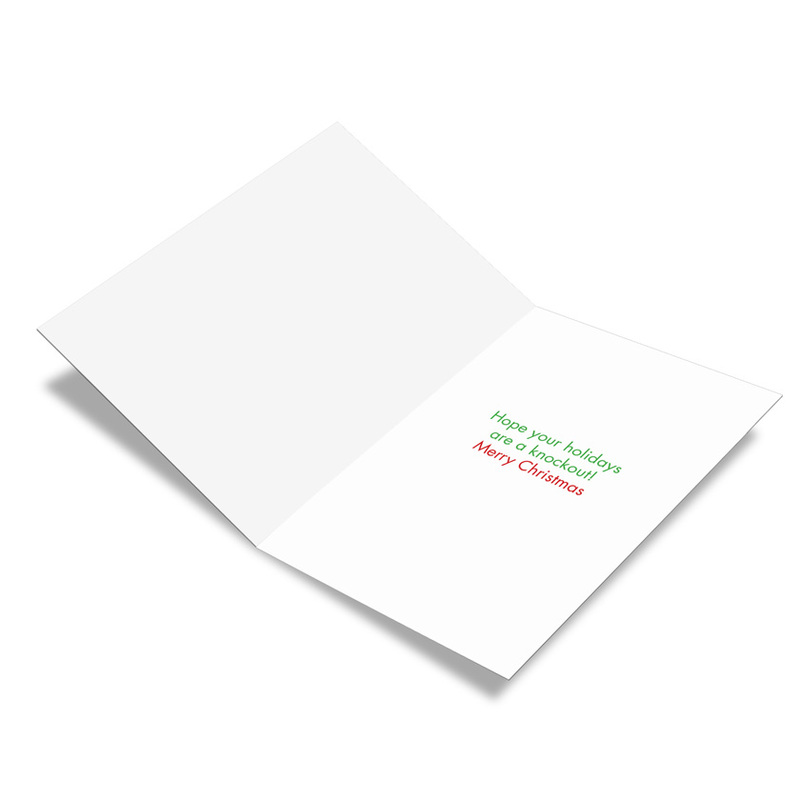 It features a clean joke that makes it perfect for families and co-workers, so stock up and share the fun with your entire department during the annual Christmas party. Take a paws in your busy Christmas prep schedule to send this cheerful seasonal card out to somebody special in your nine lives. 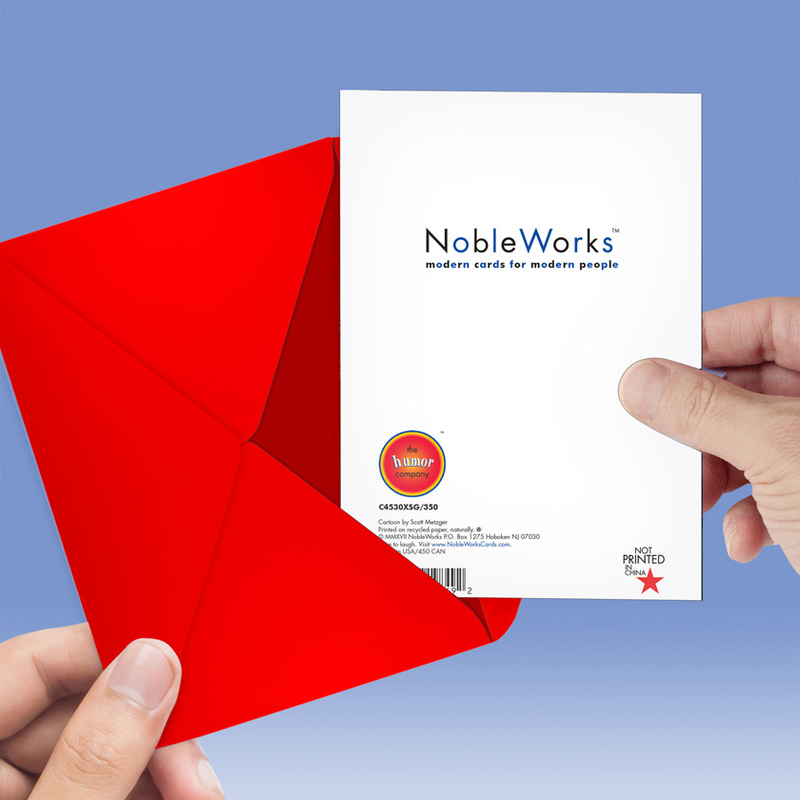 At NobleWorks Cards, we offer a bulk discount that gets even bigger the more you buy, and we offer free shipping to make filling out that Christmas card list even easier. My new favorite card "store"! 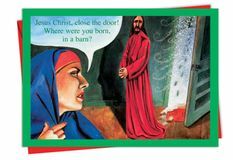 I saw this funny card late in the season, and I ordered some for next year. To my surprise, they came super fast and I was able to mail some off to friends who LOVED them. 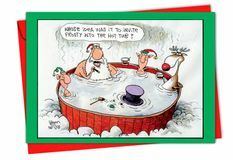 We all need more laughs this time of year.